As the saying goes, it's better to prevent a problem than to have to deal with the cure. Dr. Gunnin and our team provide you with comprehensive preventive dentistry for your long-term oral health. Be sure to schedule checkups and cleanings for everyone in your family at least twice a year. Digital imaging, intraoral and extraoral digital photos, and digital X-rays help Dr. Gunnin precisely diagnose existing and potential dental problems. Most oral diseases are preventable. With procedures such as fluoride treatments, dental sealants (plastic coating applied to the chewing surfaces of the back teeth), bruxism guards, regular periodontal exams, and oral cancer screenings, the Rogersville Family Dentistry team will keep a close eye on your oral health. Let Dr. Timothy D. Gunnin bring your smile to life. At Rogersville Cosmetic and Family Dentistry, we offer all facets of cosmetic and restorative dentistry. Our caring, professional staff can meet the needs of families from Kingsport, Morristown, Johnson City, and surrounding towns. Call today for your new patient consultation, and let us take care of your smile. Dr. Gunnin and the Rogersville Family Dentistry team have years of experience working with patients of all ages, including young children. We encourage you to bring your whole family to our office, and we’ll be happy to schedule appointments for the whole family on the same day for your convenience. 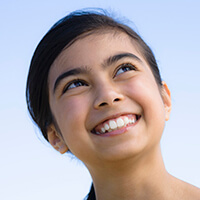 We offer a number of treatments specifically geared toward caring for young patients, and our friendly, gentle team make visiting the dentist a breeze for your little one. 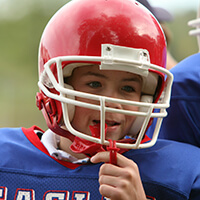 If you or a loved one participates in any athletic event where your face may come in contact with other players, equipment, or hard surfaces, we encourage you to wear a mouthguard every time you play. There are a number of varieties available in sporting goods stores, but these guards are often bulky or uncomfortable leading patients to discontinue wear. We are happy to create a custom guard that offers superior comfort, ensuring patients consistently use their protective sportsguards.